Ground cord, 15 ft. (4.6 m), with 10 mm snap. Molded-in male snap fastener with integral one megohm resistor on one end, solderless terminal on other. Connects all 3M(TM) Static Control Mats and Runners to building ground. Jaco Aerospace and Industrial is your one stop resource for 3M(TM) Accessories - Grounding Cord, 3040 and all of your 3M Products, Tapes, aerospace and industrial needs. 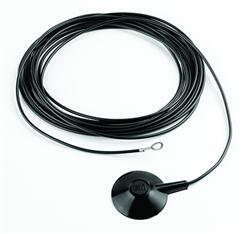 SKU Marketplace Product Description: Ground cord, 15 ft. (4.6 m), with 10 mm snap. Molded-in male snap fastener with integral one megohm resistor on one end, solderless terminal on other. Connects all 3M(TM) Static Control Mats and Runners to building ground.